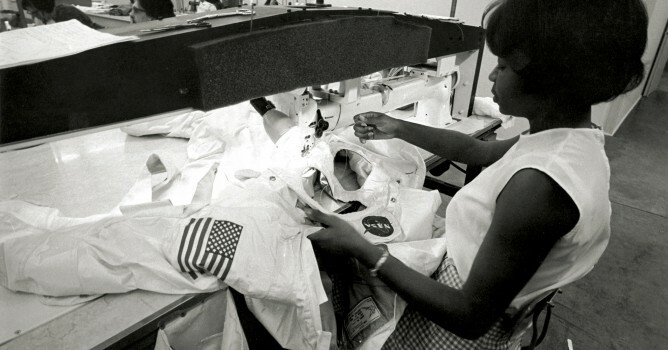 SPACE …THE FASHION FRONTIER: Hazel Fellows working on an Apollo mission space suit. Photo courtesy MIT Press and Txchnologist. 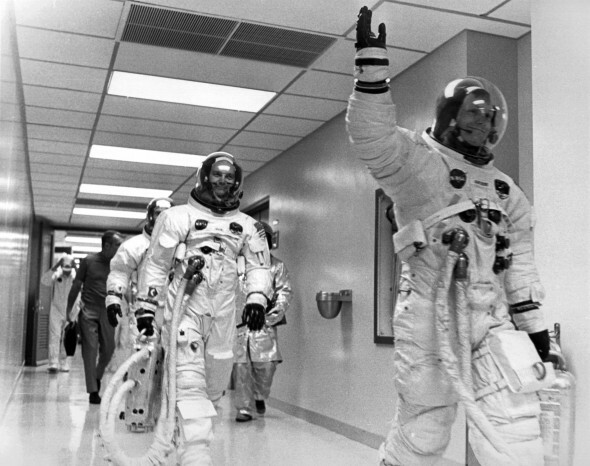 The women who made Playtex girdles also sewed the spacesuits for the Apollo astronauts. Txchnologist, GE’s online magazine exploring all thinks futuristic and technological, has a great interview with Nicholas de Monchaux, architect, professor and author of “Spacesuit: Fashioning Apollo,” a new book by MIT Press about the Apollo mission spacesuits. The Txchnologist piece includes some great “Mad Men”-esque photos from MIT Press of the women who sewed the suits. MIT Press’ website also has a nifty little interactive timeline allowing you to explore the book a bit.